Chocolate donuts cure the world! My heart always skips a beat when I see the school number light up on my phone. Today it was the school nurse calling to say that one of my girls has fallen flat on her face. Oh dear! Cancel afternoon activities. Cancel school pick up arrangements. Cancel a productive day in the office before the weekend. Cancel afternoon exercise me-time. 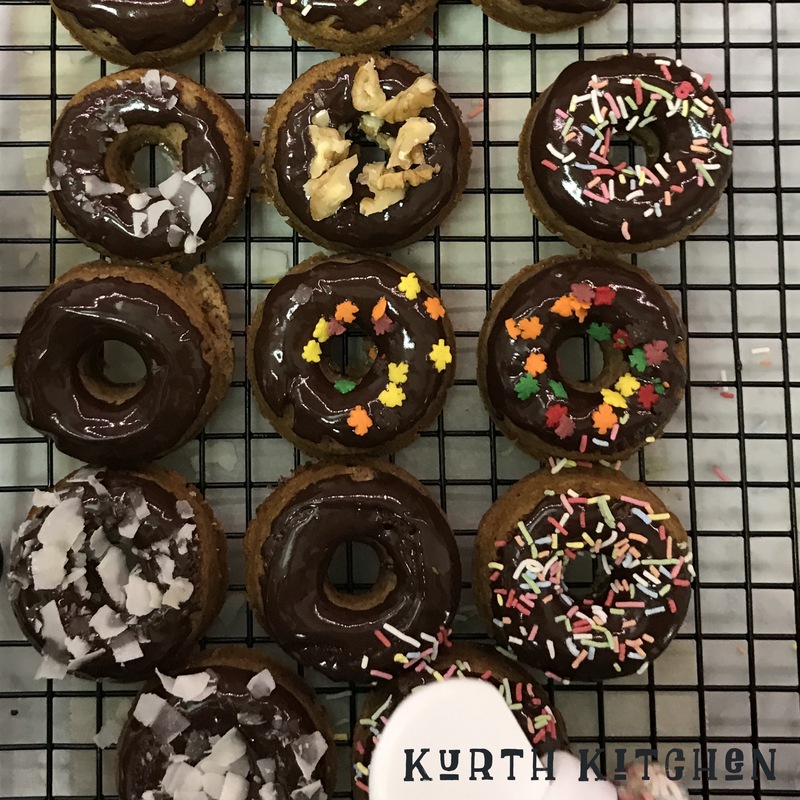 So… HELLO chocolate covered pumpkin donuts! Isn’t it funny how something as simple and cute as a mini donut can forgive and forget, washing away the day’s troubles and ‘cure’ a 6 year old with a fat upper lip.